Many people with criminal records seek to expunge the record of their conviction at a later date. When a criminal record is expunged, court documents about the case are sealed, which prevents the public from reviewing the criminal records. 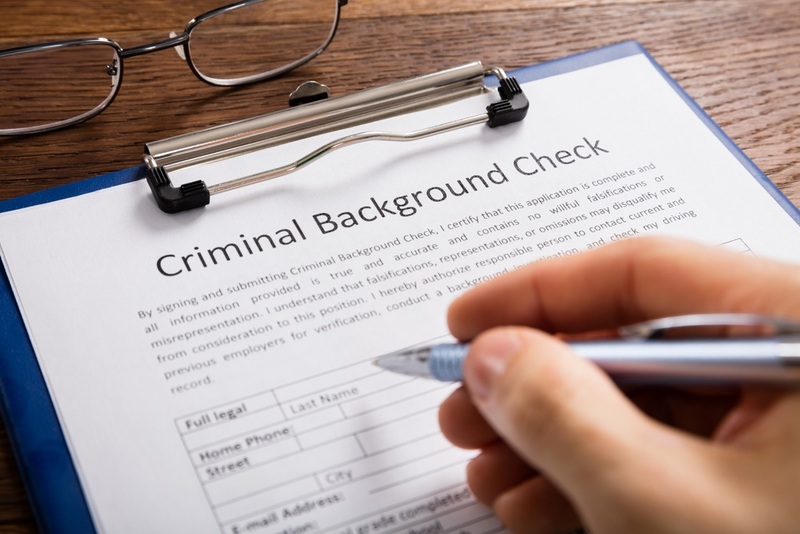 In Oklahoma, there are two kinds of criminal records expungement: expungement of the complete criminal record and expungement of a person's name from court records. (See 22 O.S. §18 and 22 O.S. § 991c, respectively). An expungement of the complete criminal record seals the arrest record, paper and online documents, and background checks. Since the person's criminal records will no longer be viewable by the public, this process helps a person with a criminal conviction move forward after they have paid the price for their crime. Once a person's record is expunged under Section 18, they can truthfully answer that they do not have a criminal record. However, not every conviction is eligible for expungement in Oklahoma. Only non-violent felonies may be expunged. What is the difference between non-violent felonies and violent felonies in Oklahoma? Generally, violent felonies are crimes against a person, while non-violent felonies are offenses against property. • Bombing offenses, sabotage and terrorism crimes. If a person has been convicted of any of these crimes, they are not eligible for expungement in Oklahoma. If a person is convicted of a misdemeanor that did not result in a jail sentence and the fine was under $501, he or she may be able to file a Petition for Expungement immediately. If a person is convicted of a misdemeanor which resulted in a deferred judgment or suspended sentence, he or she can file for expungement one year after completion of the sentence. If a person is convicted of a misdemeanor which resulted in jail time or a fine over $500, the person can file for expungement five years after completing a sentence. There must be no other felony or misdemeanor charges pending against the person at the time they apply for Section 18 expungement. A deferred sentence expungement allows a person who has received a deferred sentence to expunge their plea. As a result of this process, the status of the disposition of the case will show that the case has been dismissed. A deferred sentence expungement is easier to obtain than a Section 18 expungement. To obtain a deferred sentence expungement in Oklahoma, a person must complete all terms of probation, including counseling, community service hours, drug treatment, and any other conditions imposed by the court. In addition, the person must pay all fines, court costs and restitution as ordered by the court. The person must have served the entire term of the deferred sentence. If a person's criminal record is expunged under Section 991c, the public record will show that he or she pleaded not guilty and that the case was dismissed. This expungement will not remove the arrest record, nor will it seal the paper and electronic records of the case. Records related to the arrest and conviction will remain available as a public record. There is no waiting period for applying for a deferred sentence expungement once the requirements are satisfied. Some people find it helpful to apply for the expungement while they wait for the eligibility time to accumulate for the Section 18 expungement, which seals the full record. The Oklahoma deferred sentence expungement may also be used if a person does not qualify for a Section 18 expungement. If you have been convicted with a misdemeanor or felony and want to know if your records can be expunged, please contact the Oklahoma criminal lawyers at the Compton Law Firm immediately. Call 405-542-2529 (542-CLAW) and one of our Oklahoma Expungement Lawyers will help. Read more about our team, or continue reading and researching our free legal information library.